The search of a journalist's house was a gamble by police who had no evidence they would find anything relevant to their investigation, says Nicky Hager's lawyer. The High Court in Wellington has found police failed to disclose relevant information to the judge who issued the search warrant for Nicky Hager's house, declaring the warrant "fundamentally unlawful. The search last October was part of a police investigation into the hacking of blogger Cameron Slater's computer. Information from Mr Slater's computer was published in Nicky Hager's book Dirty Politics which argued government figures were using Mr Slater's blog to damage their opponents. During the search officers took away documents and devices in a bid to identify the hacker, known only as Rawshark, who contributed to the book. Mr Hager's lawyer Felix Geiringer said police had put a high level of effort into the investigation. "We saw literally dozens of police officers working on this case and working on it from a very early stage - ... at least 10 days if not several weeks before a complaint was even filed. However he said police documents showed they had no reason to believe there was anything relevant to the investigation at the house. "I think it's the classic fishing expedition ... [police] hoped that there was going to be something there they just didn't have evidence that showed them that there was going to be something there, which is what you need before you search someone. "It was a speculation, a gamble - maybe Nicky had been careless, maybe there was something left lying around, so let's give it a go. 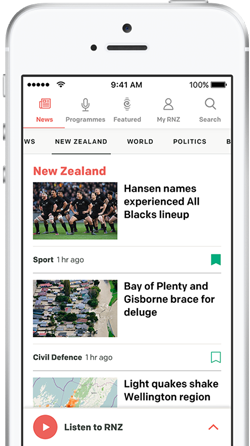 "In New Zealand you do not search people under those circumstances." 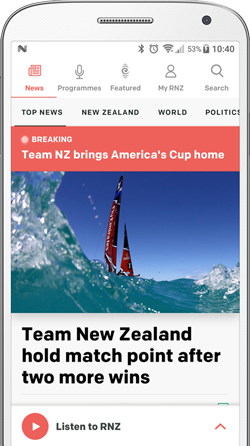 New Zealand First leader Winston Peters said the search was a "seriously improper use of authority" and breached the public's right to information. Mr Peters said a police warrant application had to be upfront and comprehensive, and in the Hager case it was not. "That shows a serious deficiency of not understanding some of the fundamental rights of this country. "The second thing is, yes .... Hager says he does know the identity [of Rawshark] but in many cases, and every journalist would know this, you get information where you don't know who the source is - you'd love to know but it literally comes off the back of a truck - you don't know what the source is and you have to rely on it because of its apparent veracity." Mr Peters told Morning Report journalists' ability to reveal the workings of the authorities was essential to democracy and the rule of law and the Hager case breached legal protections over keeping sources confidential. "If journalists are going to be outed for their sources then the public's right to know what's going on in the power structure or in authority be it politicians or bureacracy, the public's right to know is ... not seriously damaged - it's shut down. "The big issue - put aside Hager, and put aside journalists - the public's right to know is why this law's in place in the way it is in the first place." The Labour Party wants reassurance from the government that the search was not driven by political pressure. Acting leader Annette King said she was disappointed the search had been ruled illegal as it was important for police to get it right. "The question I think needs to be answered, and needs to be answered by the Prime Minister and, or the Minister of Police was whether there was any political pressure put on the police?" She said maybe that pressure was not direct but police were feeling the heat. "In the lead up to the election, when there was a lot of political activity, a lot of comments were being made by the Prime Minister and by other politicians at the time. Whether the police felt that they had to take some urgent action." Green Party co-leader Metiria Turei said police and the government had serious questions to answer. "The whole book was about undue political influence in a range of areas and for the police to have behaved so poorly in the process of investigating complaints adds fuel to that flame." United Future leader Peter Dunne said it was at least the third incident of its kind where the police been left wanting. "There was the original ruckus about the Dotcom mansion raid two or three years ago for instance, now the raid on Nicky's home." He said the disturbing thing was that in all of those cases the police seemed to go in over the top without much sensitivity to the wider issues involved. But Mr Dunne did not think police were under a directive to do so. Police said they would take time to study the high court decision and consider further legal options with Crown Law. Prime Minister John Key and Police Minister Judith Collins could not be reached for comment.